Food & Drug Administration, Department of Health & Human Services - The FDA is requesting information from industry for a potential procurement for a LIMS COTS solution. Florida Department of Agriculture - Division of Animal Industry: purchase, installation, maintenance and customization (if applicable) of a Division-wide Laboratory Information Management System (LIMS) application and database for use by the Florida Department of Agriculture and Consumer Services (Department), Division of Animal Industry’s laboratories. In this Laboratory Investigation training learn what constitutes an OOS observation, what are the guidance’s process & Steps to be taken in the laboratory in the event of an OOS observation. Imagine the benefit of using a single web based tool to report information from any software system in the lab. Information from LIMS, an ELN and even a training records program can be analyzed, compared and combined into a single report. EXTENSION, INC. announced today that in addition to its Cisco IP device integration, it will make available for general release to the healthcare community the EXTENSION for Apple iPhone application. EXTENSION's existing offerings use Cisco IP devices and smartphones as end points to deliver critical alerts and notifications. Sapio Sciences is pleased to announce that University of British Columbia, headed by the esteemed Dr. Michael R. Hayden, has selected Exemplar LIMS as its Laboratory Information Management Solution (LIMS). 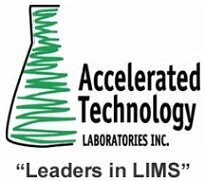 CMMT will utilize Exemplar LIMS throughout it laboratory for sample management, integration with robotic platforms and other instruments. BaseCase launches the world’s first web-powered Business Intelligence platform - ‘BaseCase Interactive’ - at the ISPOR Conference in Prague targeting the pharmaceutical, medical device and diagnostics sectors. Waters Corporation today introduced Waters(R) NuGenesis(R) Scientific Data Management System (SDMS) Form Designer 2.1, a module for SDMS Vision Publisher(TM), that converts SOPs (standard operating procedures) from several analytical technologies into one electronic form to support prescribed analytical workflows. Condition Monitoring Services Inc. has added a complete oil analysis laboratory to its repertoire of predictive maintenance solutions. CMS LabLogik’s online laboratory takes equipment monitoring to its highest level of efficiency and effectiveness with its unique capability of interpreting oil tests in order to predict the maintenance that your equipment will need. Labtronics Inc., a world leader in laboratory automation is pleased to announce the release of Nexxis Lab Analytics, the industry's first Lab Analytics module for the whole lab. Instead of reporting data for one application or for one instrument, Nexxis Lab Analytics reports data for every system in your lab at the same time.